If you enjoyed Ricochet Kills 2, give a try to Ricochet Kills 2 – Player Pack, a physics-based skill game by Mibix where the goal remains the same: hit all the men in black with your gun by making a perfect angle and by taking a right shot! Move your mouse to aim and click to fire. You have a limited number of bullets per level, so use them wisely. After Crush the Castle, Crush the Castle – Player Pack and Crush the Castle 2, here is Crush the Castle 2 – Players Pack, the latest installment in the series created by Joey Betz and Chris”Con” Condon. 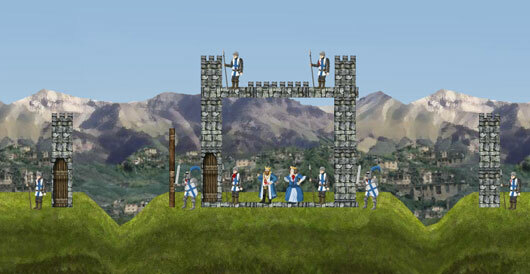 “With hundreds of castles submitted, Crush the Castle 2 Players Pack was made for the fans by the fans. A plague has befallen the people of King Blutias’s empire. Those who are infected seem to be possessed by some kind of voodoo. The Redvonian King is afraid the plague will spread to his empire so he has sent you, his trusty Siege Master, to destroy the castles of those who are infected. Red Remover is back with Red Remover Player Pack 2! 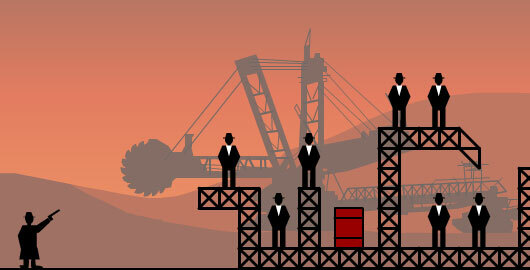 Red Remover Player Pack 2 contains a selection of 40 new user made levels for Red Remover, a popular physics-based puzzle games created by Gaz Thomas. Good news for all Cover Orange fans: Cover Orange Players Pack 2 is live! 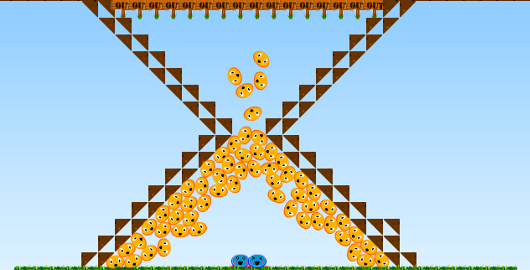 The gameplay remains the same: protect your fruits from the evil rain cloud by strategically placing objects on the play-field. 50 more player-created levels of Cover Orange: can you beat them all? 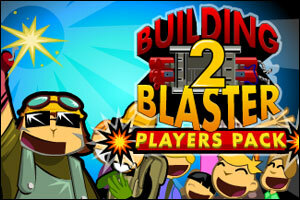 Building Blaster 2 – Players Pack is the third installment in the Building Blaster physics puzzle series from 2DGames. 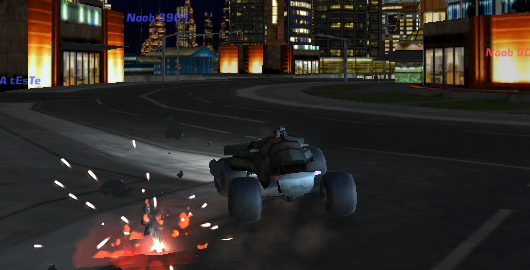 Your goal remains the same: blast the buildings to clear the red zone by placing bombs and tools in the more efficient way. 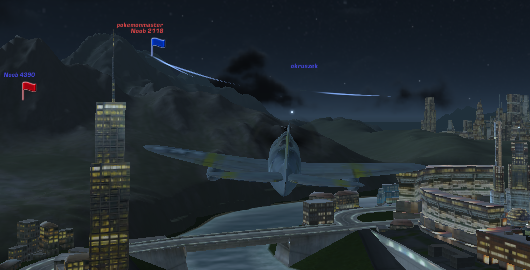 Adjust timing to your advantage and avoid civilians casualties. Try to get your competitor for bonus points. 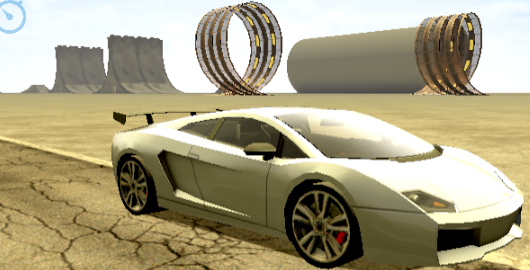 Like its predecessor, this Players Pack features 50 levels of various difficulty (plus a level editor). That should be enough to keep you entertained for a while! Here it is! Stephen Harris, the creator of the Bloons series, has just released a second compilation of levels created by players, thanks to the level editor integrated in Bloons World. 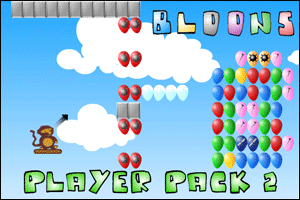 This Player Pack 2 contains 50 levels created by fans from all around the world; as mentioned by the author, “there are some nasty levels in here that might take more than a couple of tries to pass”. I have no doubt that some fans are already looking forward to playing the PP3! 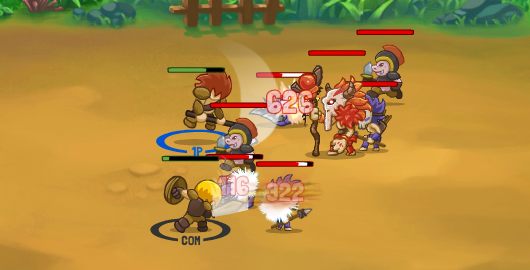 Mighty Knight 2 is a wonderful RPG from Firebeast Studio. Gather your army of mighty heroes and explore a land full of monsters. Upgrade your heroes and overcome challenges that are waiting for you. A two player mode is available for you to do an adventure with a friend. 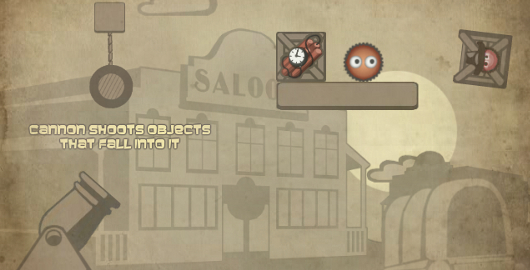 Cyclop Physics Players Pack is the latest installment in the Physics based Puzzler series Cyclop Physics. 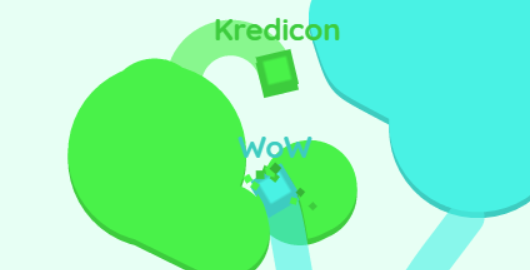 Click on the Cyclop to change his shape to round or square. Put each colored Cyclop on its own platform of the same color. 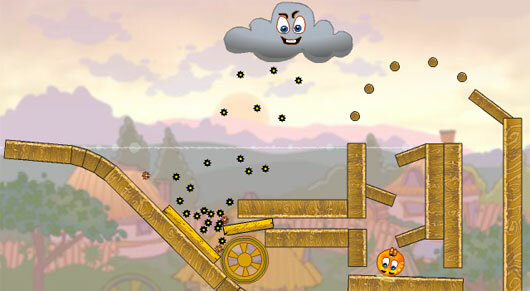 Oh My Candy Players Pack is a Physics based Puzzle game from BePlayed. You push candy through different puzzles to feed this candy-lover. 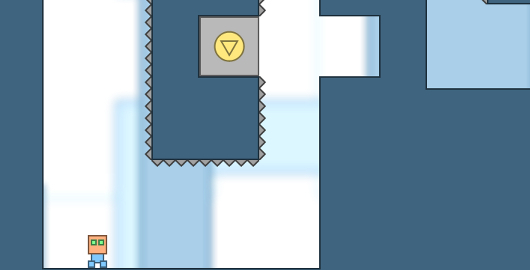 Move mouse over the “paw” in the beginning of each level. Then push candies with the “paw”. 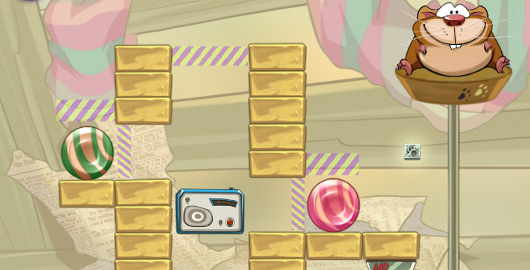 Meebling’s Player Pack 1 is a Physics, Puzzle game from Ninja Kiwi. 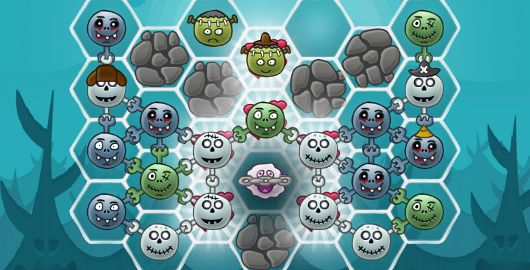 Use the Meeblings’ special abilities to rescue as many as possible on each level. We don’t know what you’re saving them from, but they sure need saving. Happy Dead Friends: Players Pack is the sequel to the Puzzle game Happy Dead Friends by Gluk. Like before, place your critters so that they hold hands in as few moves as possible. Spin Spin: Episode 2 the sequel to Spin Spin: Episode 1 is a Platform, Puzzle game by Chris Hughes. Spin Spin is back with more rotational puzzle platforming, adding elements such as moving boxes, mid-air extra spin power-ups and more. Like before, players move left or right, or rotate in either direction, to reach checkpoints and ultimately get the girl. 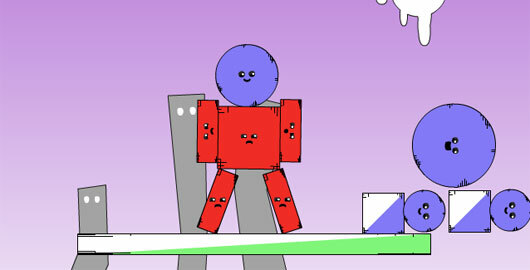 Bristlies Players Pack is a Physics based Puzzle game from the creator of Gemollection, Max “stagefear” Postnikov. Like Bristlies, send the little Bristlies to their respective boxes where they can nestle down safely. Cut their ropes, switch on the fans, activate force fields and remove obstacles to help the little Bristlies home.